Weekly Event Every Tuesday Thursday & Sunday: 2:45 PM to 5:30 PM (EST). Choose dates when purchasing tickets from our Eventbrite ticket page. 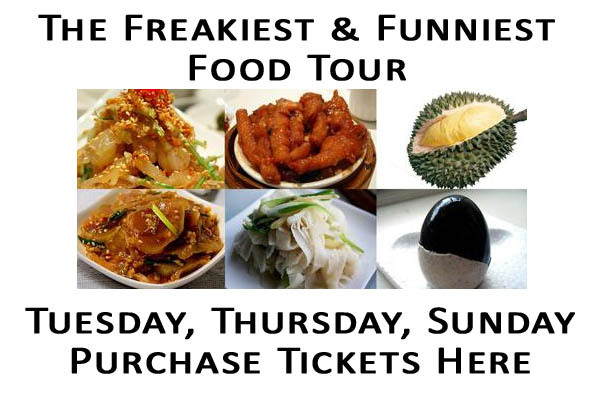 Are you ready for an exotic, adventurous, freaky, funny, and yet delicious food tour at NYC Chinatown Restaurants? You are going to explore a wide variety of foods that you have never thought of tasting before. They are, however, the favorite foods of millions of people worldwide! Aren’t you curious about why others love these foods so much? Is it because of their taste or nutritional benefits? 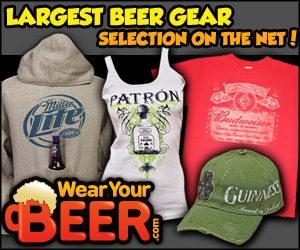 Are you daring enough to explore them yourself? Do you want to see your friends, family, or fellow tourists funky facial expressions as they try new exotic foods? Durian – “king of fruits,” the size of a basketball with a unique odor that people either love or hate, and formidable thorn-covered husk; its flesh tastes like a rich custard, highly flavored with almonds! A variety of Asian snacks including dried fish, squid, super wasabi nuts, and preserved plums which are sweet, sour, and salty all at the same time. Chicken feet with black bean sauce – light, moist, & tender; a must dim sum dish for Chinese people. Rice with pig feet – soft and smooth! Noodle soup with beef tendon stew – tender and chewy! Congee with Thousand-year-old egg – Not actually a thousand years old, but fermented for a week or even a month. The yolk is dark green & creamy and the white is dark brown & like jelly. Tofu Brain – The popular Chinese traditional dessert! A meat market where you can find crocodile legs. A Chinese herbal shop where you will see a bunch of rare dried seafood including sea cucumbers, seahorses, and shark fins. This freaky tour is not only about food tastings but also about having a hilarious time with your friends, family and/or fellow tourists. Come join us today for an adventurous food tour for only $65. All tastings are included. Get Tickets Now from our Eventbrite ticket page. ,p>You can choose any Tuesday, Thursday or Sunday dates from now until January 2014! Food, Drink, Tasting. Event tags: bizarre foods, china town, food tour, freaky tour, nyc, nyc chinatown tourism, nyc tourism, tasting.